Once again it is Berta Bonardi of the University of West Florida Argonauts who tops the Oracle/ITA Division II Women’s Singles Rankings. Joining Bonardi in the top 5 ranking positions are No. 2 Alexis Czapinski (Washburn University), No. 3 Sarah Frendo (Cameron University), No. 4 Monika Stanikova (Academy of Art University), and No. 5 Maddy Coffman (Midwestern State University). WTEN| Never settling and ALWAYS getting better. We are moving up! 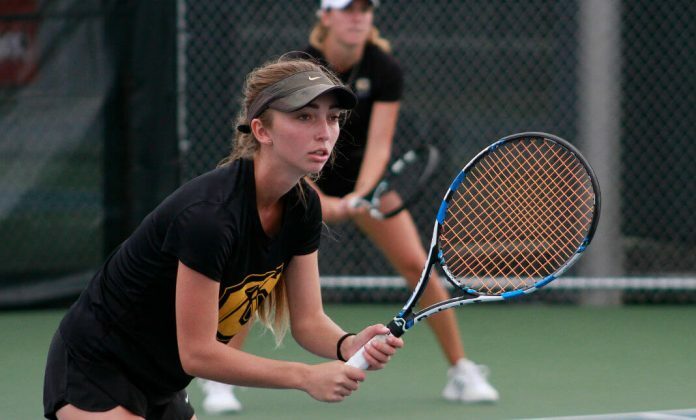 The Intercollegiate Tennis Association (ITA) is the governing body of college tennis, overseeing men’s and women’s varsity tennis at all levels – NCAA Divisions I, II and III, NAIA and Junior/Community College. © 2019 by Intercollegiate Tennis Association (ITA). All Rights Reserved.